Shahrukh Khan’s third child is a boy named “Abram“. Shahrukh Khan’s youngest son, AbRam, was born on 27 May, 2013. Shah Rukh Khan and Gauri Khan’s son, Abram, was born at Masrani Hospital for Women in Andheri, Mumbai. He was born a little prematurely, only 34 weeks into the pregnancy and weighed 1.5 Kg at the time of his birth. After spending time in Nanavati and Breach Candy Hospital, SRK brought Abram home to “Mannat”. Abram, who is Shah Rukh Khan and Gauri Khan’s third child, was born with the help of a “Surrogate Mother“. It was a “Gestational Surrogacy”, where the embryo consisting of SRK’s sperm and Gauri’s egg was placed in the surrogate mother. The embryo was created using “In Vitro Fertilisation” (IVF). The Surrogate mother carried Shahrukh Khan’s baby throughout the pregnancy until the birth of his son on 27 May, 2013. Abram” was the original name of “Abraham“, before it was changed by God. In Genesis 17:5, God tells “Abram” that he is changing his name to “Abraham” because he is now the father of many nations. Abram means a father who is held in high regard. “Though the identity of the Surrogate mother is not known, she is thought to be from UK. Reports in the press have suggested that SRK’s son’s surrogate mother may be Gauri Khan’s, sister-in-law Namita Chibber. Gauri Khan’s brother is Vikrant Chhibber. Famous Indian film stars who have children using Surrogate Mothers include, Aamir Khan and Kiran Rao’s son, Azad Rao Khan; Sohail Khan and Seema Sachdev-Khan’s son, Yohan (aka Aslam). Famous international celebrities who have used the services of surrogate mothers include Michael Jackson, footballer Cristiano Ronaldo, Elton John, Robert De Niro, Angela Bassett, Nicole Kidman and Keith Urban, Sarah Jessica Parker and Matthew Broderick and singer Ricky Martin. Just down the road from where Shahrukh Khan lives is the home of Salman Khan. 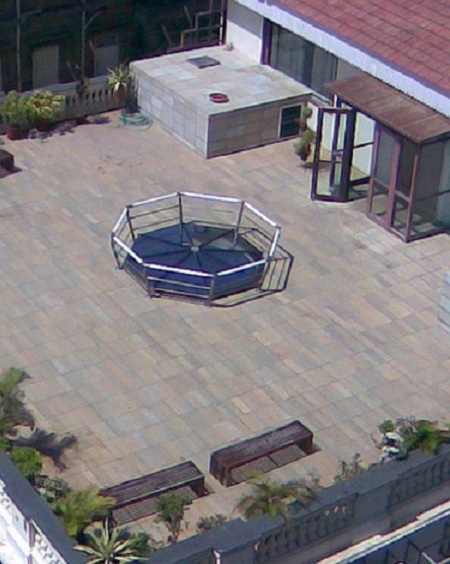 Here are pictures of Salman Khan’s House at Galaxy Apartments. 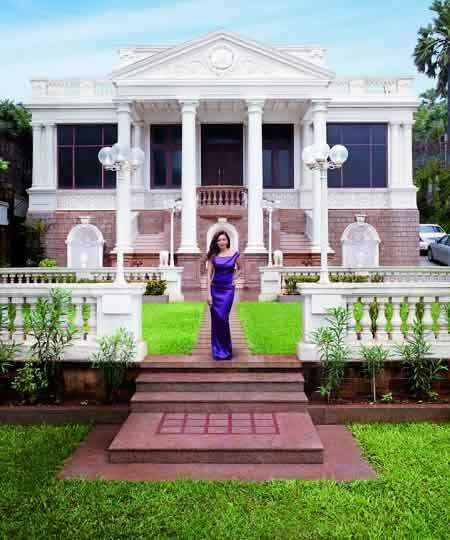 This article has pictures of houses of Indian Movie Stars. Shahrukh Khan’s family stays in the bungalow whereas the 6 storey building has a living room, guest rooms, offices, a library, a gym, entertainment room, and a basement car park. 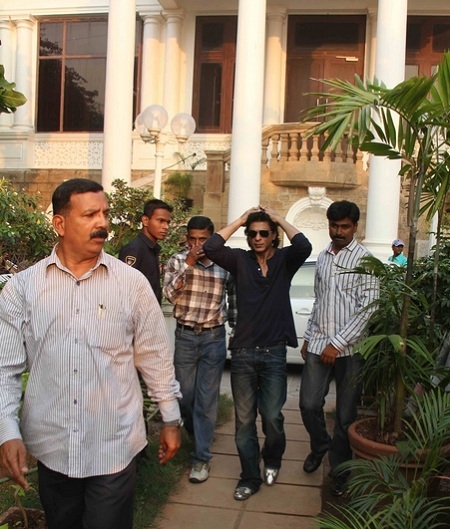 Shahrukh Khan in the compound of his house, Mannat. This image is taken from Architectural Digest India’s Facebook page. 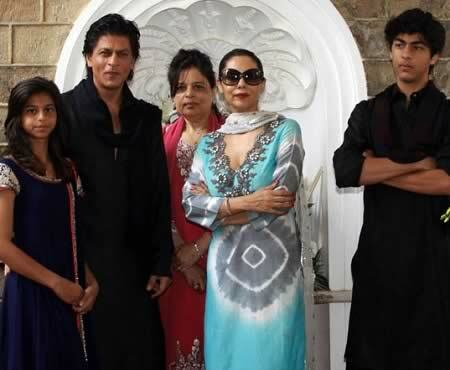 Picture of SRK and his family, in their home, Mannat. Picture of SRK’s Living Room is taken from Architectural Digest India’s Facebook page. 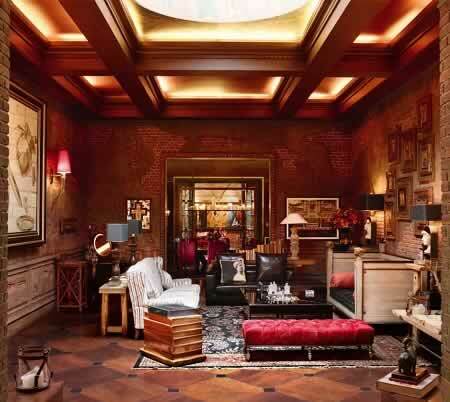 Image of Shah Rukh Khan’s Living Room is taken from Architectural Digest India’s Facebook page. 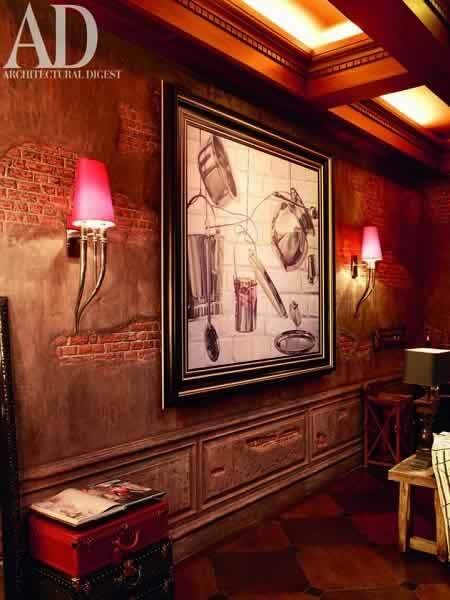 Photo of Shahrukh Khan’s Drawing Room is taken from Architectural Digest India’s Facebook page. 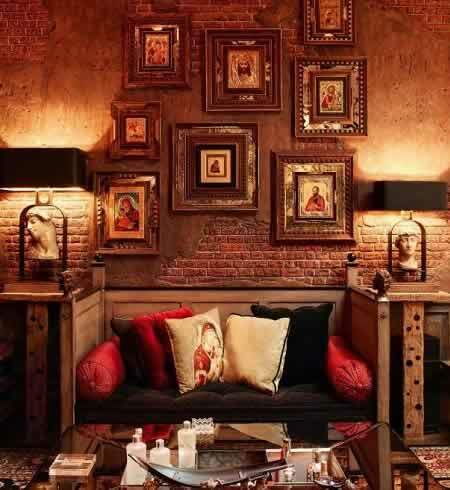 Image of Shahrukh Khan’s Dining Room is taken from Architectural Digest India’s Facebook page. Arabian Sea view that Shahrukh Khan sees from his house. 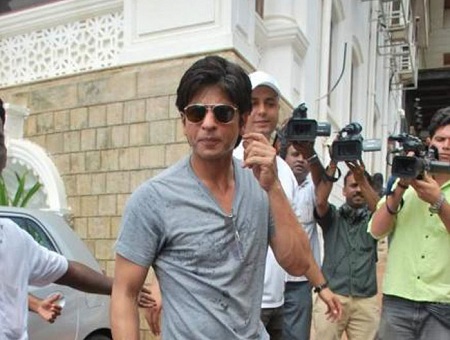 Shahrukh Khan in the compound of his house. Here too he is chased by the press. 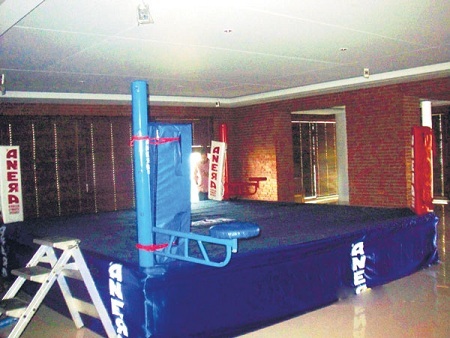 Inside Shahrukh Khan’s house. Notice the Filmfare awards. The Great Khali at Shahrukh Khan’s house, Mannat. Another view of Shahrukh Khan’s office at Mannat. 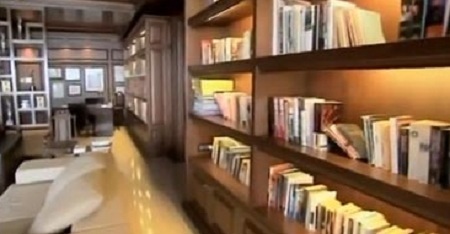 Shahrukh Khan’s library at Mannat. Shahrukh Khan’s gym at Mannat. 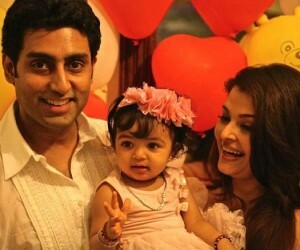 His kids (Arjun, Suhana) are national level martial art sports champs. 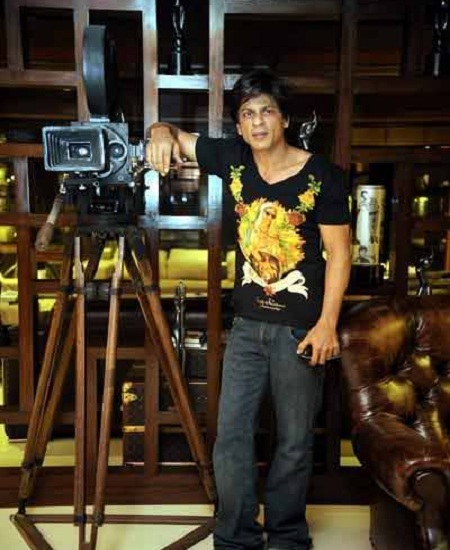 Shahrukh Khan at home in Mannat with his FilmFare awards. Shahrukh Khan at home on his computer. Shahrukh in his garden, addressing the press. 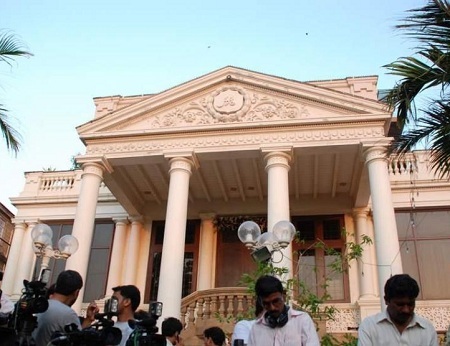 Shahrukh Khan’s bungalow Munnat with its majestic columns. 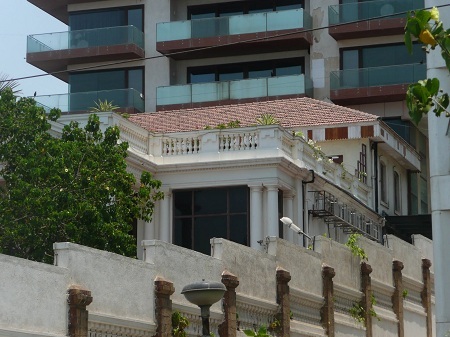 Outside view of Shahrukh Khan’s home, Mannat and the 6 story building. 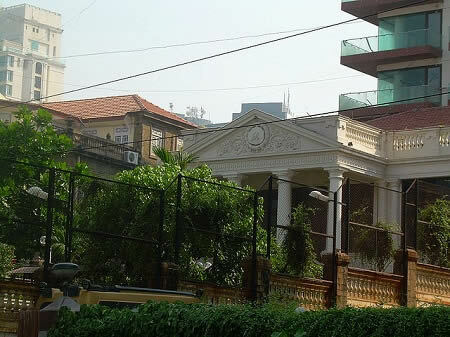 Closer look of SRK’s Mannat from outside. 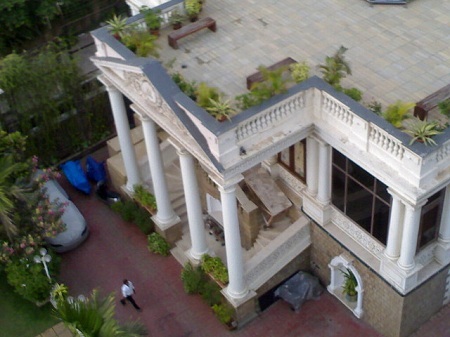 Beautiful top view of Shahrukh Khan’s “Mannat”. View of Shah Rukh Khan’s terrace at Mannat. 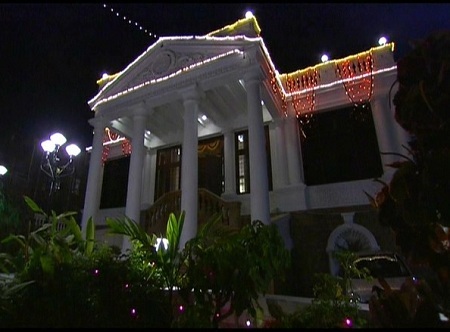 Shah Rukh Khan’s Mannat at night. 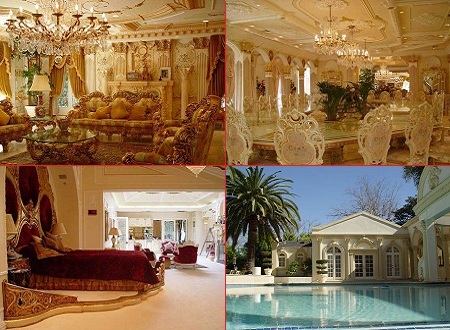 These are fake pictures of Shahrukh Khan’s house which can be found on the internet.